My good friends Missy & Beaudon – and their sons Alex & Chase – got in town today, visiting from Longwood for the weekend. They met me, Susan, & Meredith at my favorite happy hour spot – Salt7 – for some cocktails and apps before headed to dinner after Casey, Roger, and Katelynne got there. Today’s choice for dinner was Racks Fish House & Oyster Bar. 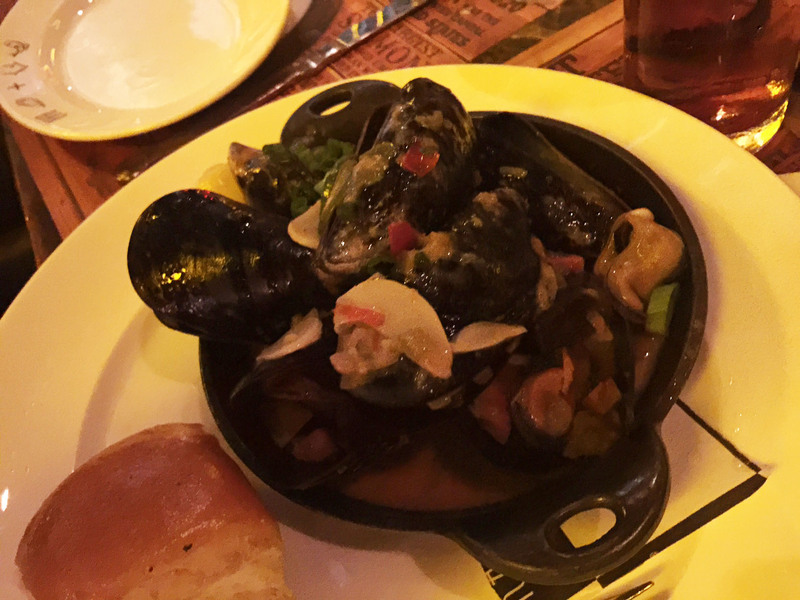 I honestly have never dined there for dinner – only for a stone crab claw at the bar once. I was impressed by the menu and the extensive bar selection. 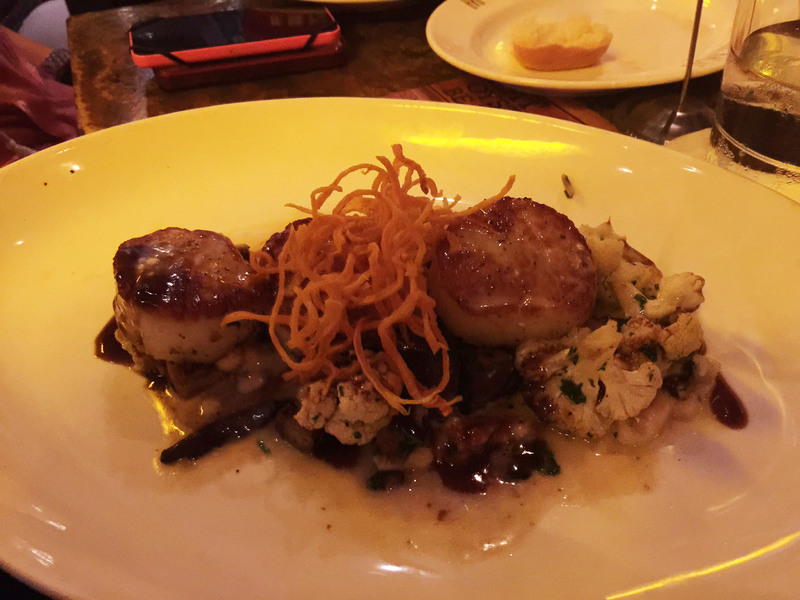 For our entree, Susan and I split the seared scallops & pork belly – now that’s more like it. This came in a vanilla puree, mushrooms, and a truffle shallot jus. The scallops were huge! I washed it down with a couple IPAs, Susan had a couple glasses of pinot grigio. Nice evening with some good friends!